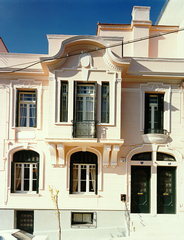 The Ilias Lalaounis Jewelry Museum (ILJM) is a centre for international jewelry studies. On permanent display are the creations by Ilias Lalaounis, an Athenian jeweler and goldsmith, elected member to the French Academie des Beaux-Arts. The Museum organises temporary exhibitions on various aspects of modern or antique jewelry and runs a series of educational and culural activities. The ILJM operates as a non-profit cultural institution; following the combined approval of the Ministry of Culture and the Ministry of Finance the Museum is a registered charity. The ILJM opened to the public in December 1994. It is housed in the old Ilias Lalaounis workshop on the south slope of the Acropolis. The building, a beautiful 1930s house, was renovated by Vassilis Gregoriadis on plans prepared by Bernard Zehrfuss.